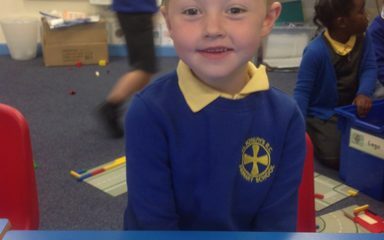 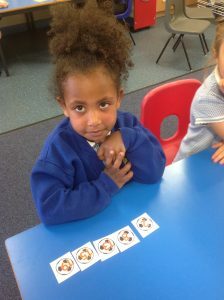 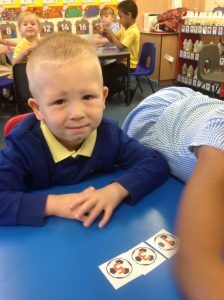 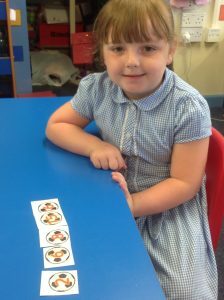 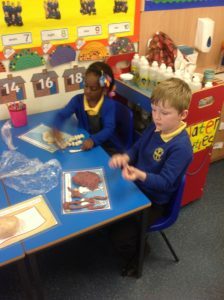 Our reception class children have had two busy mornings in their new Year 1 classroom. 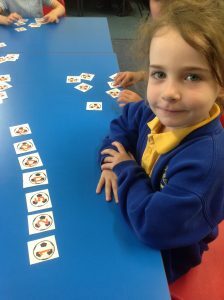 They have been counting and looking at the ordering of numbers. 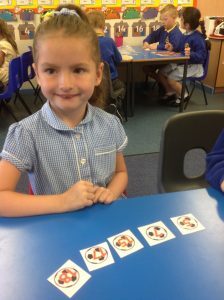 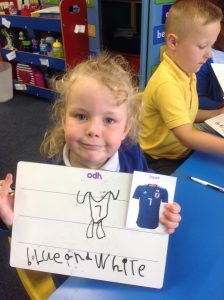 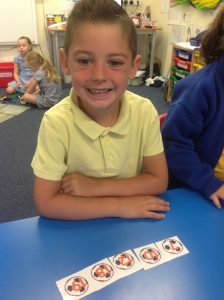 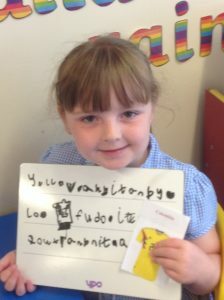 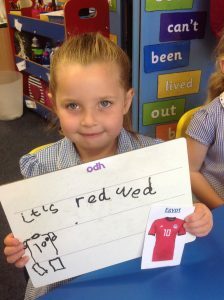 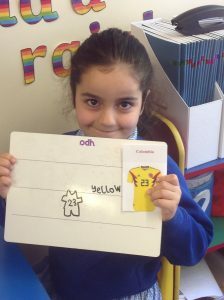 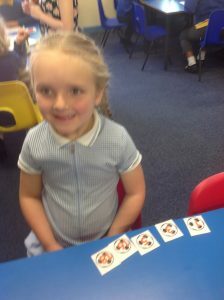 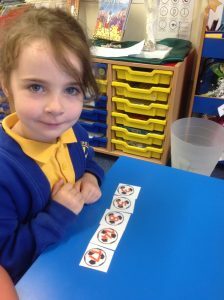 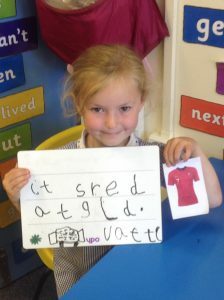 The children have also been writing about the colours of the football strips.